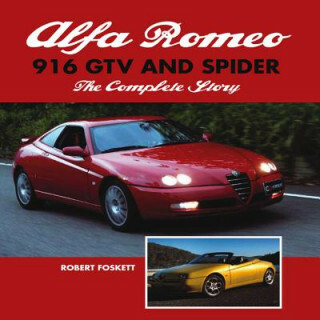 "Alfa Romeo 916 GTV and Spider" traces the complete story of the Alfa Romeo GTV and Spider models produced between 1994-2005, commonly known to enthusiasts by the manufacturer's project code as the 916 series. The 916 models would always be controversial - they replaced the iconic Spider, the best-selling Alfa Romeo sports model of all time, and the brand-establishing Alfetta GTV. Sharing components and a platform with a humble Fiat hatchback, would the cars ever be considered 'real' Alfa Romeos? The cars were critically acclaimed, and though they faced tough competition in the late 1990s from the likes of the Audi TT, they remained in production for over a decade.